Crispy Pork Cutlet – tender boneless pork chops breaded and pan fried to crispy perfection. 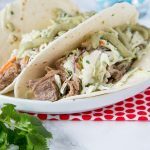 Served with a salad for a delicious meal any night of the week. My family eats a lot of pork. And more than just bacon. 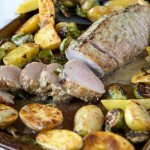 I am pretty sure pork tenderloin, like this Sheet Pan Pork Tenderloin might be our favorite cut of meat. 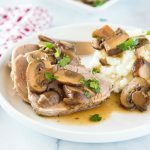 Or maybe a pork loin, because you can make things like slow cooker balsamic pork. Pork chops are pretty high up there too. 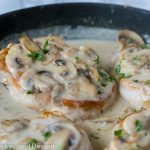 French Onion Pork Chops are tender and delicious. 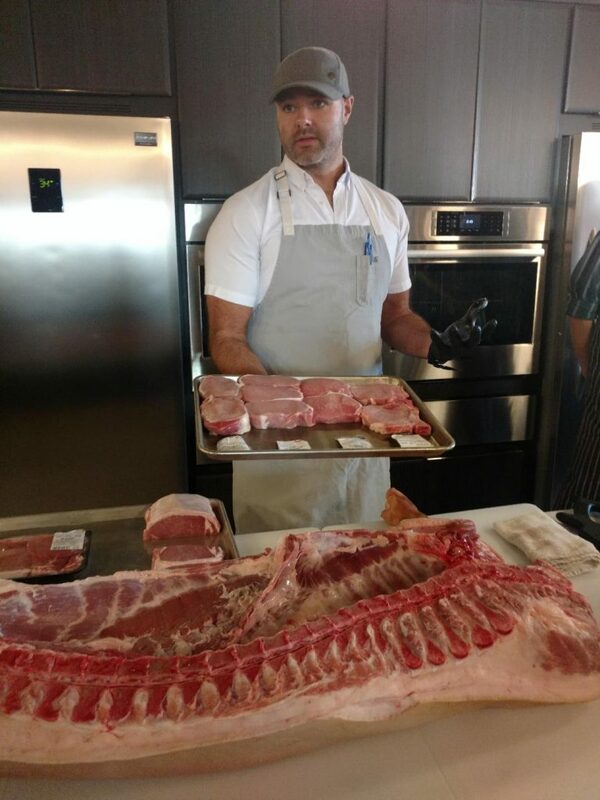 So yeah….we eat a lot of pork. 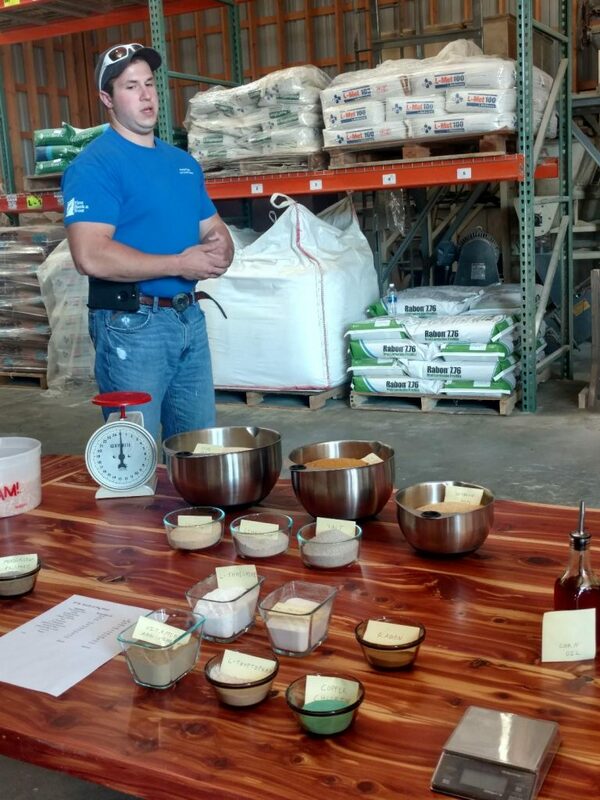 Recently I was invited by the National Pork Board to go on a Pass the Pork Blogger tour. I have been to a dairy farm and a cattle ranch in the past, but have never been to a pig farm. So I jumped at the opportunity. And I can tell you one thing remains the same across all farming in America. Including even the corn industry I was able to experience last year. Pride. I think that every person that I have talked to has an over whelming sense of pride in what they do. They are proud to know they are helping feel America. They are proud with how well they care for the animals and the environment. They are proud with how that care has evolved over the years, and the animals are happier and healthier than they have ever been. And their carbon footprint is getting smaller and smaller. 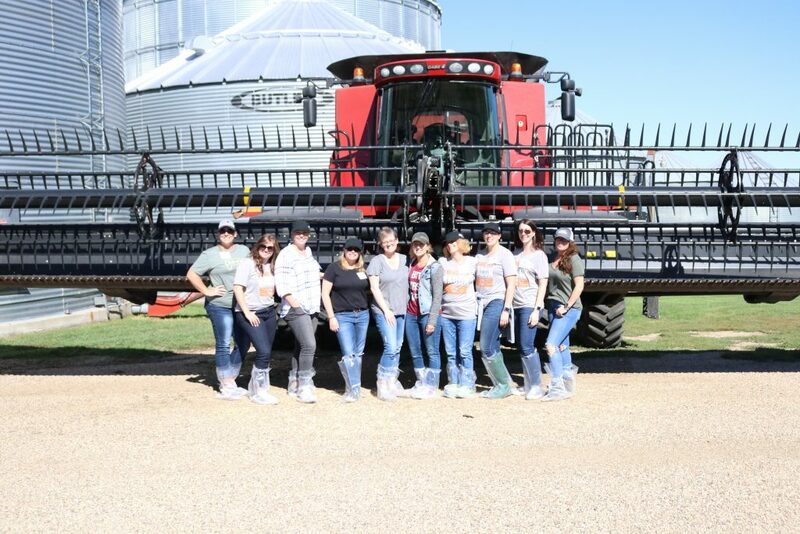 We had the opportunity to spend time with the Boerboom family, who has a family farm in Marshall, MN and also co-owns a the Kodiak farm we were able to visit. Greg and Mike (father and son) joined us for much of the tour, and we were able to ask them just about anything that came to mind, while riding the bus or at dinner. They were completely open and honest about everything. The Kodiak farm where we spent one morning at is all about safely getting a sow pregnant, caring for the pregnant sow, delivering the babies, and then repeating the process. The baby pigs only stay there until they are 21 days old, and then they move on to a different farm. So the process and care is really perfected and focused on what these pigs need. We had to completely shower in and out at this facility, because they do not want to introduce anything from the outside to the pigs. They really go above and beyond to make sure the animals are healthy and taken care of. We were able to see the baby pigs being born, and some were even able to assist. It was an amazing site, that I really can’t put into words. I wish that everyone was able to experience what we did. I think there are a lot of misconceptions about farming and where our food comes from these days. It really pays to do your research, see these farms and get back to the basics. The media blows so much out of proportion. 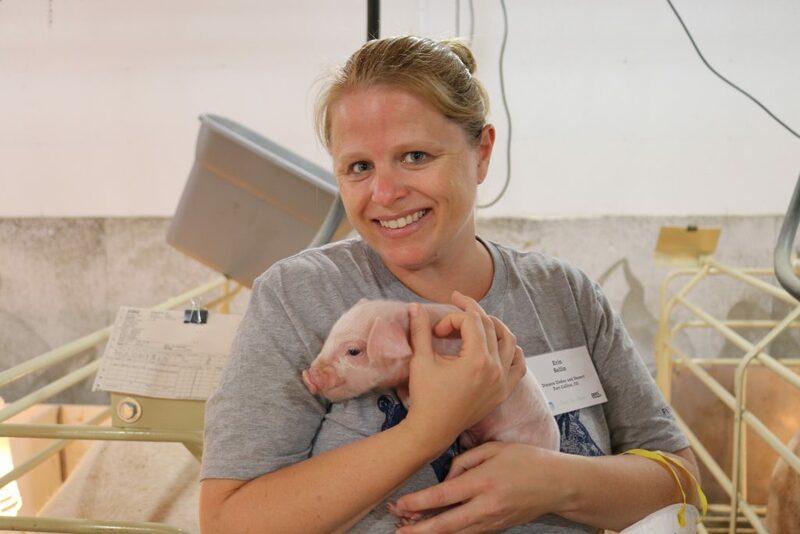 Getting to experience pig farming, on multiple farms, first hand, instilled confidence in me and knowing what I am feeding my family is safe and healthy. The last day we were together we met with Neel Sahni who showed us the different cuts of meat from the pig and how to use many of them. We got the opportunity to use some different cuts of meat and cook a few dishes after he was done. 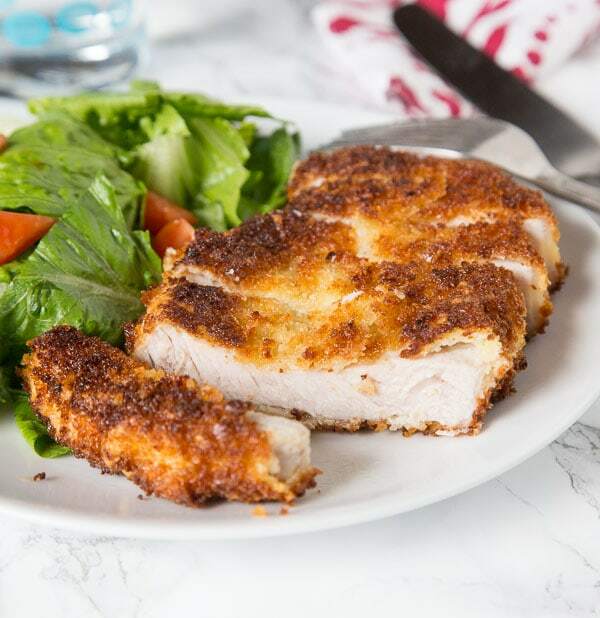 I paired up with Lynne from 365 Days of Baking and More and Jocelyn from Inside BruCrew Life and we made this Crispy Pork Cutlet. There we paired it with a Tuscan salad, but back at home I just made a regular tossed salad. The crispy pork cutlet we made there, used pork blade chops. They are super tender and great for this. I called around to my local butchers and was unable to find them in town, so I used a regular boneless pork chops (center cut pork loin chop). But if you have access to the blade chops, use them for this! 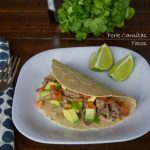 The recipe is super easy and took us about 15 minutes to make. After all the groups were done we had a feast with so many pork dishes I never would have thought to try. 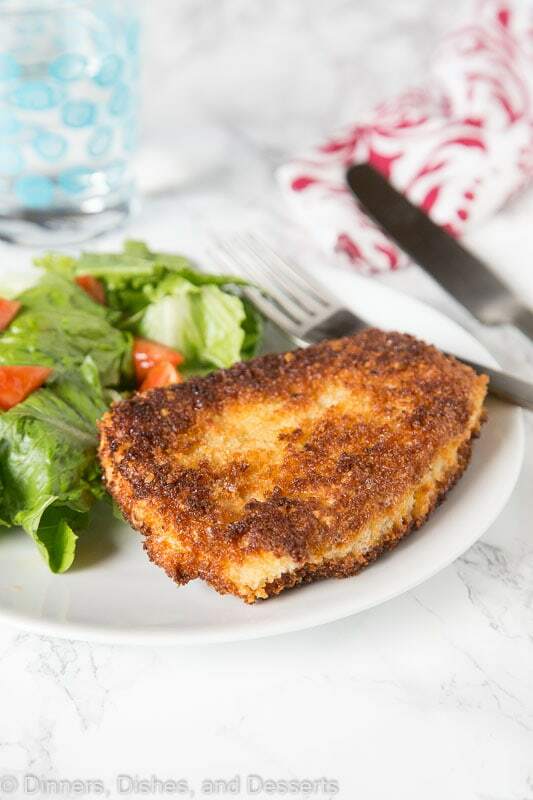 I have made this crispy pork cutlet a couple times at home now, because it reminds us of Japanese Tonkatsu that we love! Now to just perfect that dipping sauce. 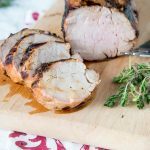 So branch out from just bacon or plain pork chops and try this pork chop recipe. Your family will love it! Crispy Pork Cutlet - tender boneless pork chops breaded and pan fried to crispy perfection. 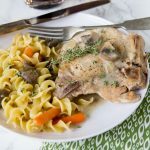 Served with a salad for a delicious meal any night of the week. 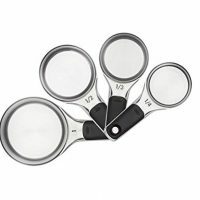 Set up 3 shallow bowls, 1 with flour, 1 with beaten eggs, and 1 with panko bread crumbs. One at a time, dip pork chops in flour, shake off any excess. Dip in the egg, and then dredge in the bread crumbs. 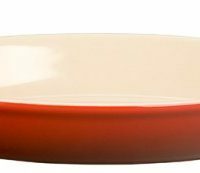 Transfer to a baking sheet or plate and let stand for 5 minutes before cooking. Heat a large skillet over medium high heat. Add oil to the pan, making sure you have enough to coat the bottom of the pan. Place 2-4 pork chops in your pan, depending on size. 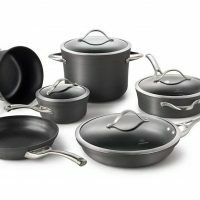 Do not over crowd the pan. You can work in batches of necessary. Cook for about 3 minutes on each side, until golden brown. Transfer to a wire rack over a baking sheet and place in the oven. 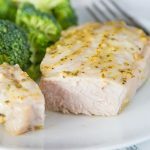 Cook for 5-10 minutes until the pork chops reach 145 degrees. 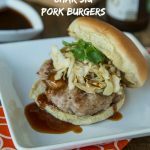 **This post is sponsored by the National Pork Board. All thoughts an opinions are 100% my own. We need this for dinner! What a perfect crust! 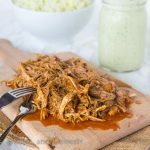 We eat a ton of pork, too, and this recipe is fantastic! 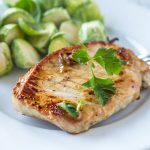 One of my favorite ways to make pork chops! 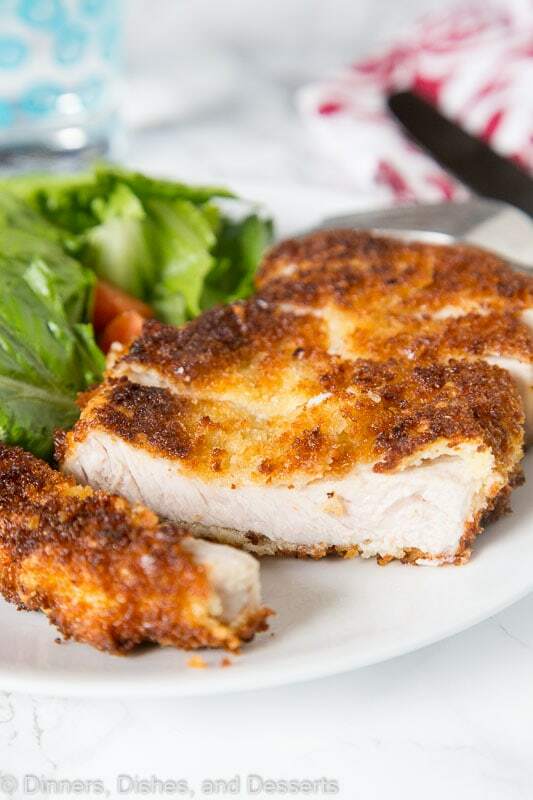 That Panko crust makes these pork chops completely irresistible. 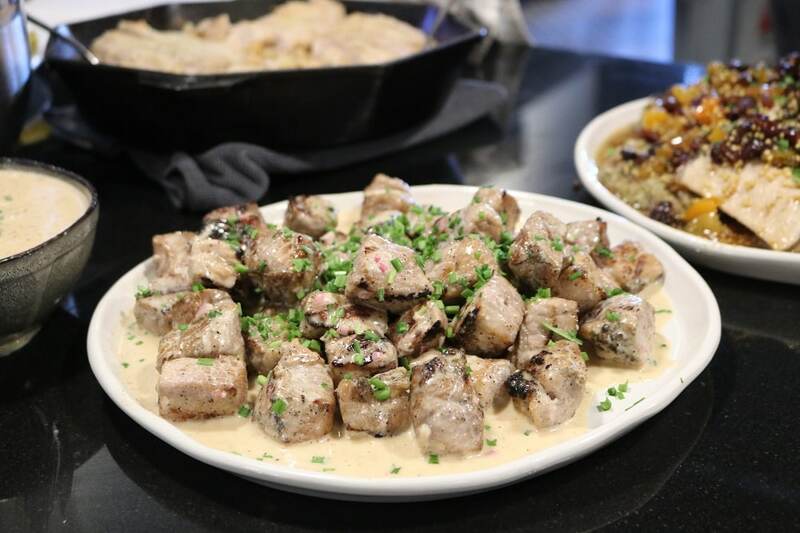 Growing up in the midwest pork was a go-to meat. We would have put these into a sandwich and enjoyed them. I can’t wait to try this recipe. 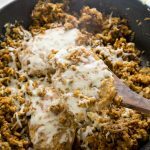 Love this easy dinner recipe!